The best concert posters from the greatest events out of the last 50 years! In our huge amount of posters, which we collect since 1969, you will find everything from rock, pop, blues, jazz, soul, funk, classical as well as all famous musicals, wrestling, boxing, live orchestras and big open air concerts with many artists and bands from all over the world. Our current offer includes appx. 4200 posters and there will be always new posters added - new Current releases and rarities in original mint condition. 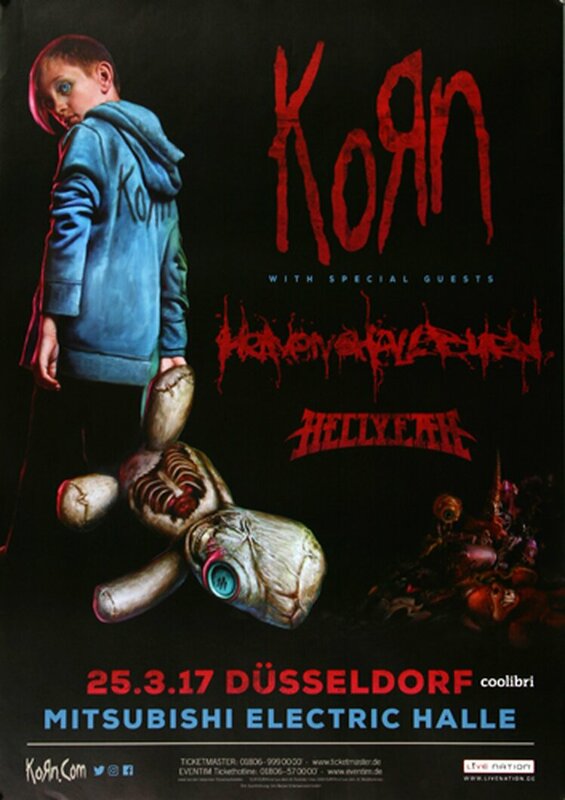 Here you can order a concert poster from Korn, Düsseldorf from the year 2017. For our worldwide shipping the posters will be send in a strong plastic tube to guarantee a fast and safe shipment without any damage. The posters are stored flat & dry at a constant temperature. This will be constantly inspected. The poster was printed on high quality paper in the year of the event.